Even though it was Khabib Nurmagomedov who not only jumped the Octagon to fight Dillon Danis, moments after making Conor McGregor tap in the fourth round of their UFC 229 main event, his manager blames McGregor for the post fight melee at T-Mobile Arena. 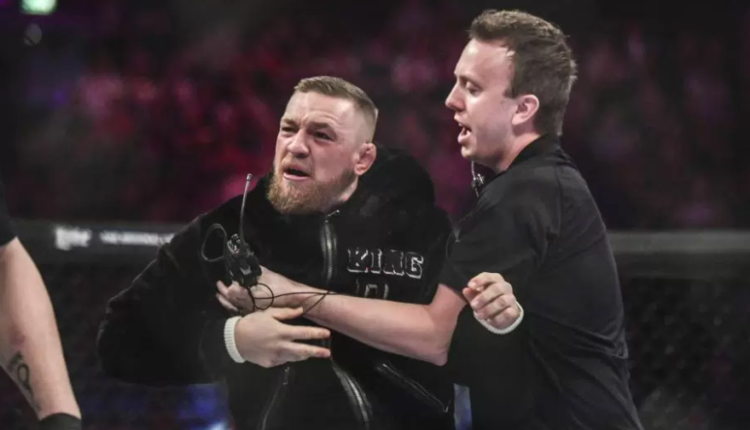 After the police sirens would stop and the fighters would return to their locker rooms, Nurmagomedov’s manager Ali Abdelaziz placed “horrible human being” Conor McGregor with the blame for the riot. Abdelaziz would admit his client should not have jumped off the Octagon and start swinging on McGregor’s teammates, but says that McGregor’s lack of respect heading into the fight is what forced the issue, even though Nurmagomedov would win the fight. Abdelaziz, who has a feud with McGregor, who has called Abdelaziz a terrorist and a snitch for his link to alleged Islamic terror groups following September 11th and would be linked to the FBI as an informant on those groups, also leveled blame towards the UFC for how they promoted this fight.